Today I'd like to show you some little part of my work I did when waiting for the little Zu. 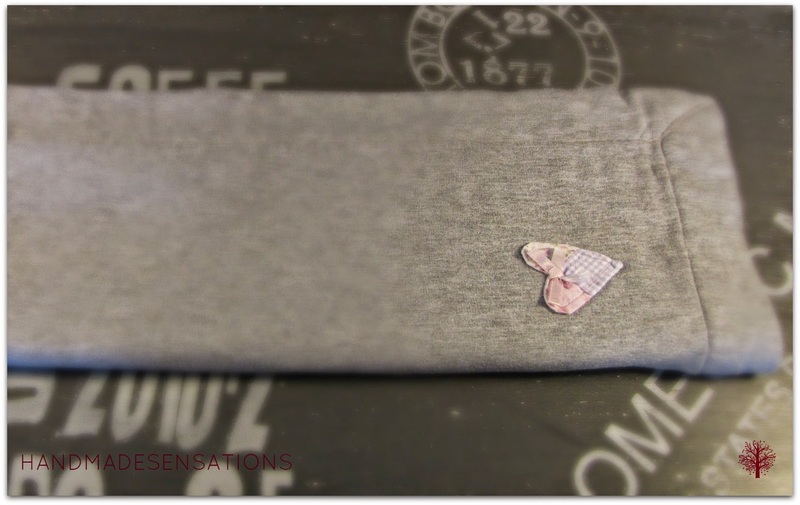 This is also a part of my adventure with grey cotton blend fabric, which I use random, but as you will see in my future posts, I have made some home and wear details out of this kind of fabric. I made this little baby blanket with a grey cotton blend one side and a piece of a flannel seamed together. 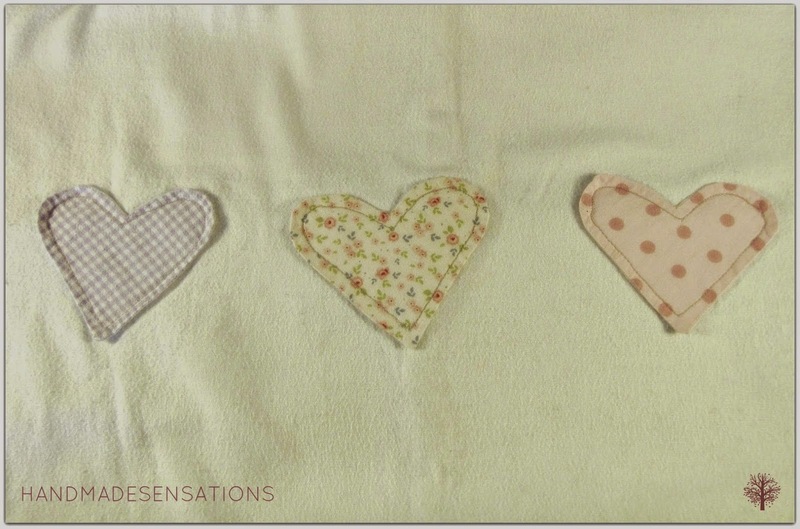 The idea of the blanket came only from the detail - those tiny colourful hearts I found so sweet. One day I ordered some fabrics from an on-line store and as a samles I received three pieces of charm squares of approximately 3'' each. Not much to do with such small samples. So I figured the easiest pattern possible and cut those three little hearts, pleaced in the center of the blanket. From the rest of the 3'' fabric (!) 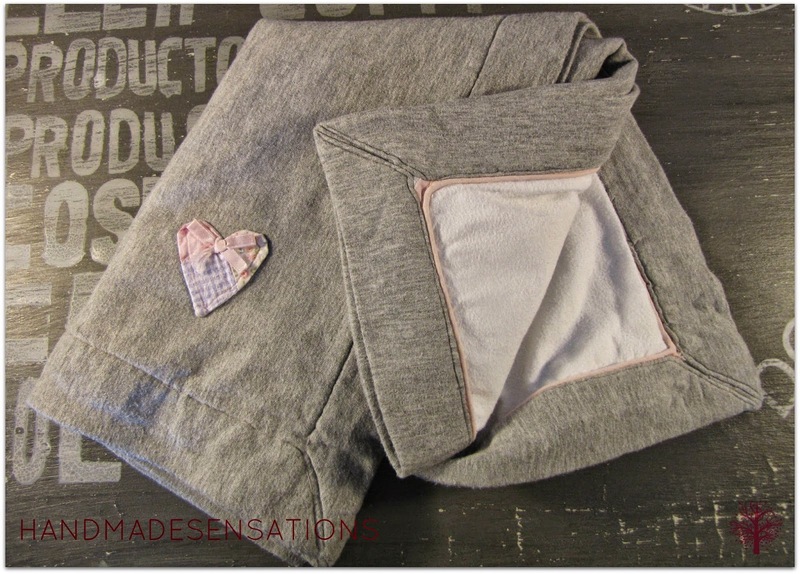 I made this patchworked heart on the other side of the blanket and decorated it with a tiny pink ribbon. Also, I put a pink trimmer on the left side - so it composes nice with the hearts. 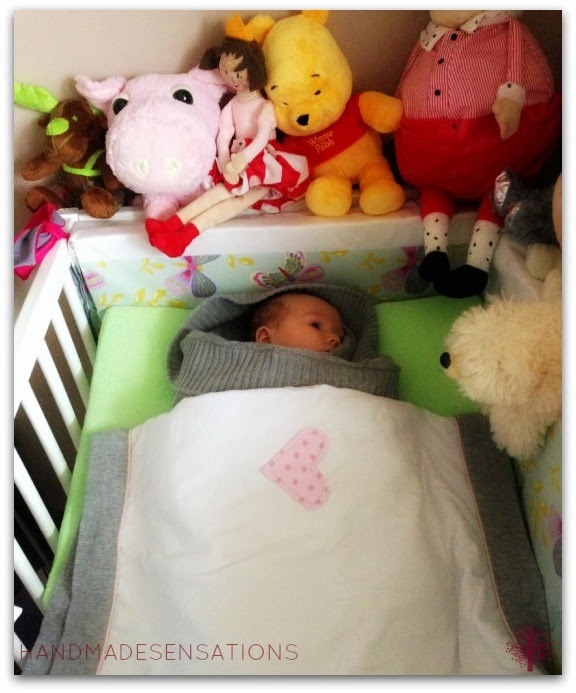 And here is the baby sleeping (or not sleeping yet) and covered with the blanket. Well, now she is so grown up the blanket is too small, but still remains as the first baby blanket of her. I am so sorry I didn't make too many pictures while doing the blanket, but I have never even suppose I could show to anybody how I made it. So I may show you only the result of this and many other of my works. But this will change and if you'd like what the future will bring and what new ideas I have, come on and follow my blog, you won't regret!